The 2013 Dodge Avenger brings muscular looks and value pricing to the mid-size sedan segment, but it faces tough competition that is, in many ways, more appealing. Among the Avenger's highlights are its optional V6 engine, Uconnect infotainment system and surprisingly fun driving characteristics for this class of car. 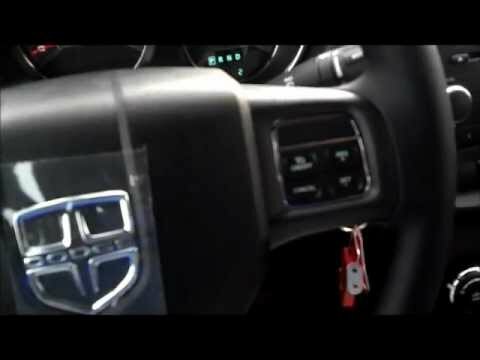 2013 Dodge Avenger - white 4 door with black interior. I have a white 4 door Dodge Avenger. It has basic features such as air, radio with CD player, and electric windows. It is a great car for one or two people. I do not think the back has enough leg space which is why I say it is great for one or two people. It has a large trunk and the back seat will fold down to carry long items. It is a 4 cylinder so it does not really have the get up and go that I would like. But it is great on gas mileage. I haven't had that many problems out of it. But of course as soon as it was out of warranty, things started to go wrong. But they were more from mileage and use than defects. I recently had the battery go dead with no warning. That was very frustrating. I tried to start the car and couldn't. I had to get a tow to a car repair shop. They told me it was the battery. I thought, "ok, that is not so bad. Batteries are not that expensive. " However, on this car, the battery is in the front under a panel. It is not anywhere that can be easily changed. So my battery and installation cost close to $300. That has been my most expensive repair and I was thinking it would be at the most $150. I purchased the car new and have had it almost 6 years. I am ready for a change. I do not want to bend down to get into a car. I want to be able to just slide onto my seat. If not for that, I would not be thinking about a change. I would like to have the rear view camera which wasn't available on this car. All in all it is a great car. A tale of two (or 11) tires. The handling is the best feature. It is a very easy car to drive. I have had it for 4 years and put 85, 000 miles on it. Never had trouble with the steering. The engine is great, and the car is very quiet on the interstate. Air conditioning and heat work great and you can feel them almost instantly when turned on. I only have 2 complaints about the car: the dashboard/windshield wipers, and the tires. I have replaced the windshield wipers numerous times, yet they're still subpar. They do not help when it is simply sprinkling outside, and just make visibility worse. At night, it is almost impossible to see when it is raining, as the windshield wipers create streaks and a glare. Regarding the tires—I have had numerous problems with the tires of this car for the past 4 years that I have owned it. In fact, I had a problem just today. In the past 3 years, I have bought 11 tires for this car—only once as a result of my driving. The tires for this car are very specific, and expensive, and not often carried in stores. If I need them the same day, they are even more expensive. I once spent over $300 for one tire for this car. Overall, I would recommend this car, especially for the handling and how well it does on long drives (it is also very comfortable), but I would tell them to weigh the benefits of spending so much on tires for a car that depreciates in value fairly quickly. 2013 Dodge Avenger fair price for a decent car. I do not know if the problems from my vehicle were from the accidents I was in or not, but there is still a lot of squeaking in the undercarriage of the vehicle. I have not brought the vehicle in to the repair shop, but I will need to because of the loud creeks/squeaking. Reliability is very good. I am able to take the vehicle far distances without having the temperature go too high or too low. The vehicle is good on gas and does not take much to fill the gas tank. I like the features for the year of the car, since it is older it does not have all of the new technology but it still has basic features. The vehicle is very comfortable drive. I believe it is a good car for the price.